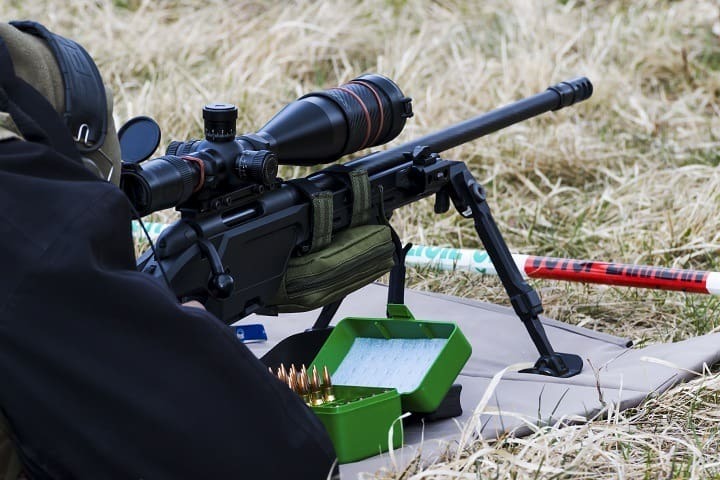 For professional marksmen in competition and hunters aiming to bag specific game, prone position is the steadiest form for a sure-fire, straight shot. Because the body is in full contact with the ground, there’s less possibility of movement, which means less room for mistakes. Unfortunately laying belly-down on the ground isn’t exactly ideal for comfort or practicality, especially if the ground is hard, cold or wet. Thankfully, shooting mats exist to help steady your hand and help keep you comfortable when shooting in the prone position. 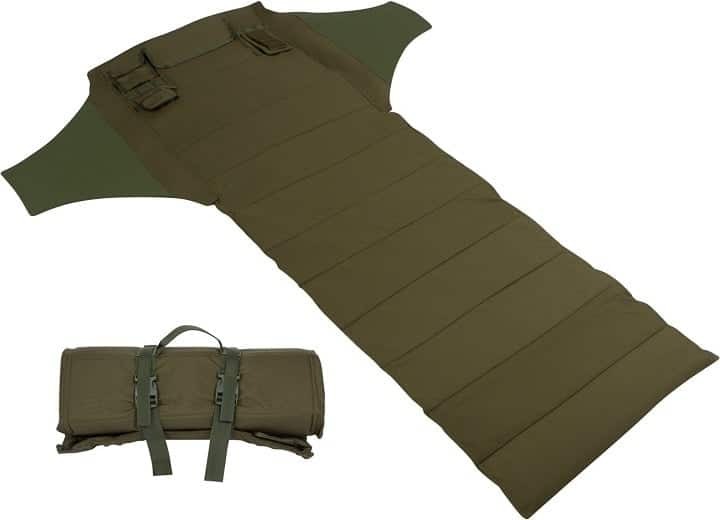 Perfect for budding and professional shooters alike, a shooting mat is a body-sized tactical mat. Sometimes also referred to as a “shooting mattress” or simply a “mattress”, it is meant to serve as a cushion between your body and the ground. It also often contains pockets which serve to store cartridges or even the guns themselves, and can even serve as a functioning replacement for a gun bag or gear bag. Shooting mats come in many different sizes and materials, with widely varying features, but they each aim to promote the comfort of huntsmen who compete or hunt in the prone position. 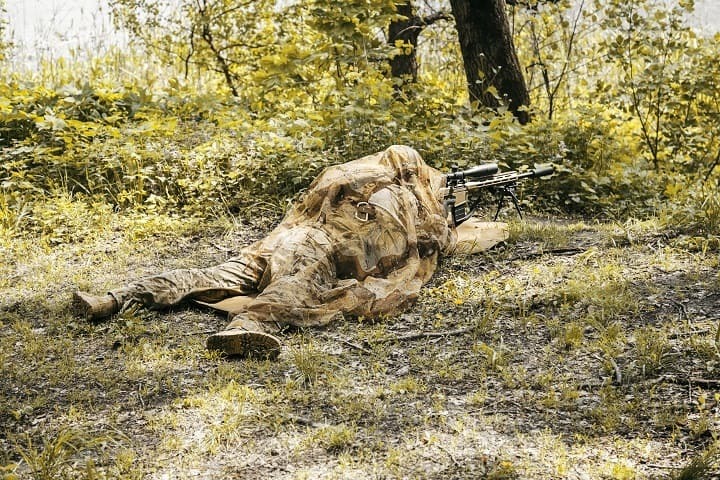 Unless you like being jabbed by thorns and twigs or soaked by elements like dew and snow, a good shooting mat isn’t just a perk for prone shooters, it’s a necessity. Outside of promoting comfort, using a shooting mat can also massively improve your technique, form and shot. If you’ve ever tried to hunker down in the bushes or the hard ground, you know it’s hard to take a straight shot when your ribs being jabbed by twigs and thorns are tearing at your skin. A shooting mat provides padding for knees, elbows, and other body parts which are stressed in the prone position. A top-notch shooting mat doesn’t just protect you from bruises, cuts and scrapes, but also helps keep your gun in mint condition. With a mat, there’s no worry of scratching your firearm on surfaces like rock or concrete, or damage of wetting you in puddles or snow. The increased comfortability that a mat provides allows you to focus on what really matters: hitting your target. 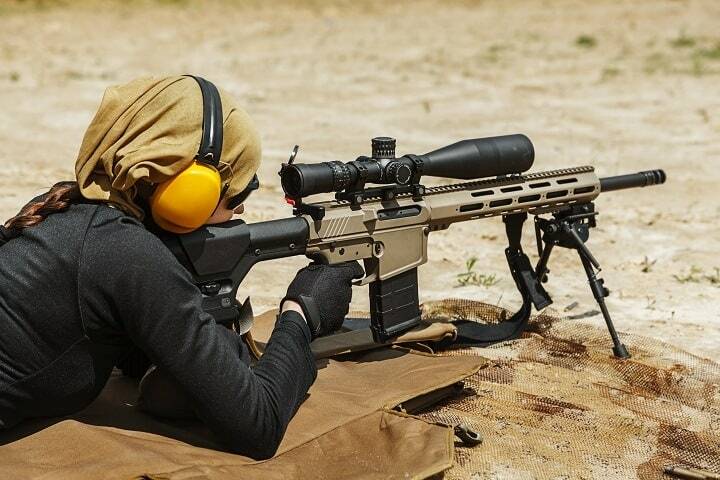 By eliminating discomfort and distractions, a good shooting mat can also increase your overall accuracy. Especially for those prone to sore joints or stiff muscles, the prone can be a trying position. Thankfully, the features of a shooting mat help you hold proper shooting form longer and ease the stress put on muscles and joints. That way you can stay ready longer, so when the perfect shot presents itself, you’re ready and prepared to take it. Shooting mats are made to be literally thrown on the ground and dragged through the mud. They’re not for decoration, but for functionality. The material they’re made of must be capable of taking abuse. Which material you select depends largely on your needs, but remember that durability is always key. Also to consider the conditions you shoot in. Will it be receiving direct sunlight? Does it rain frequently, will the ground be wet? Will you need to carry it far distances to get to shooting locations? These are all questions to consider when choosing a material for your future shooting mat. PVC (otherwise known as polyvinyl chloride) is a popular plastic polymer that’s popularly used to coat shooting mats and other outdoor mats. PVC-coated materials usually have a fabric base, which is water resistant. These mattresses tend to be a sturdy, heavy-duty option for shooting mats. However, PVC-coated materials sometimes lack the insulation properties that make other mats better at guarding against the cold ground. Much like PVC-coated materials, polyurethane-coated shooting mats normally has a water-resistant fabric as a base. However, these mats often differ from their PVC competitors because they’re less slippery. Though a minor difference, this can sometimes make for a better grip and improved stability when shooting. There’s a reason that canvas is a classic, go-to choice for military supplies. It’s a straightforward, durable material that knows how to take abuse. Additionally, it’s especially ideal for those practicing in hot or sunny climates, as it doesn’t conduct heat or get hot to the touch in direct sunlight. The downside of the canvas is that it isn’t naturally waterproof or even water resistant. Unless coated with some type of polyurethane or other plastic derivatives, a canvas is a poor choice for any type of shooting that might involve mud, rain, snow, or dew, but ideal for exceptionally hot and dry climates. From the basics like padding to extras like pockets and convenient carrying straps, shooting mats come equipped with as little (or as few) features as any marksman could dream of. Whether you want an all-purpose tactical mat with pockets that will replace your gear bag, or a lightweight and simplistic design you can tote for miles without breaking a sweat, there’s bound to be a mat that hits the mark on all your needs. Though not all mats include compartments, a vast majority of designs do. The benefit of pockets is that they provide plenty of space for additional gear. 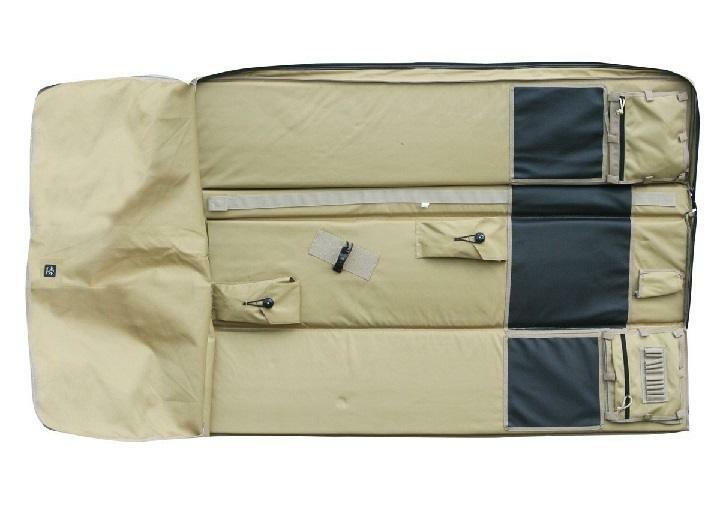 In fact, pockets can even serve to replace your range bag and rifle case as well. The added storage perhaps especially ideal for those who participate in competitions and would perhaps use the pockets to store things like a notebook and pens. Some mats even have compartments big enough to hold all the ammo necessary for a quick run to the gun range without any additional baggage. The only downside to additional pockets is that they usually burden the mat with more weight, making it harder to carry for long distances. Whether a shoulder strap, handle, or some other feature, most mats have some type of carrying device. This makes it easier to transport along with the rest of your equipment. When shopping for a mat you anticipate carrying long distances you’ll want to select a shoulder strap with sufficient padding. All mats contain padding of some sort, but the thickness, quality and type can vary greatly from one mat to the next. Padding thickness should be determined again by where you shoot the most. For shooting on concrete, gravel, or other hard surfaces, you might select a mat with a thicker, more cushioned padding. Perhaps the most ideal material for a shooting mat’s pad is closed cell foam, which provides all the comfort of foam without absorbing water. If you can’t keep the mat grounded from wind, you’re never going to be able to focus the gun and take a shot. Additionally, if there’s been rain, sleet, snow, dew, or frost, you may as well be shooting from your kid’s slip-n-slide. Unless your shooting mat has some good grip or ties, it’s not going to be helpful at all. For these reasons, many mats also include grommets which anchor the mat to the ground, so you can focus less on making sure your mat stays grounded and in place. That way, you can focus instead on hitting your mark. In the prone position, a large amount of the distributed weight falls on your elbows. Some mats anticipate the added pressures on your elbow joints and have added additional elbow pads into their shooting mat designs. These pads can increase comfortability and also help you to steady your hand and shoot more accurately. If you’re using a bipod to shoot your gun, chances are you’ll want a front flap on your shooting mat. Front flaps help to lock the front legs of the bipod in place, which prevents slippage and allows for more accuracy. Some bags also include miscellaneous extras, like binoculars or cleaning rods (ideally to be used with one of these best gun cleaning mats). Again, these items are by no means necessary but can make a nice bonus if you’re buying a mat anyway. From field hunting to professional competitions, each marksman has specific needs when it comes to shooting mats. To pick a mat you’ll be happy with, consider the standard and optional features available, the type of shooting you do, and where you will be using the mat. For recreational marksmen and those purchasing a mat exclusively for hunting purposes, the ideal size comes down to personal preference as well as your own height. Taller hunters tend towards bigger mats, so their bodies don’t exceed it. Additionally, some may opt for a mat that exceeds their own measurements to also accommodate additional shooting gear as well. 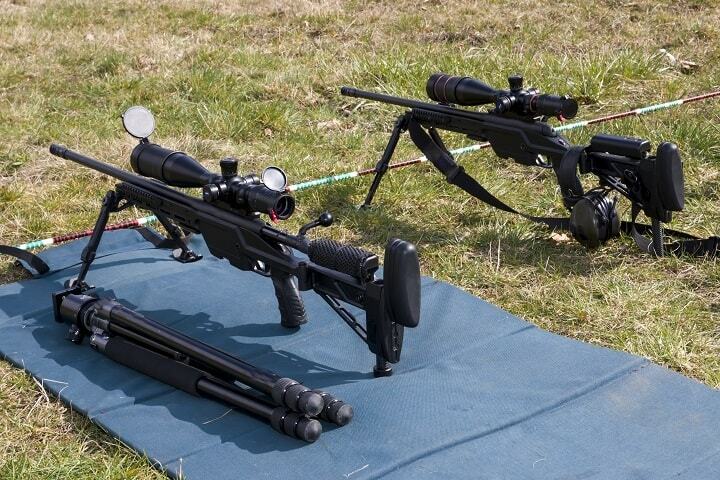 However, those who shoot in competitions may be restricted to regulation sizes. Mats generally range between 27 x 85 inches to around 35 x 66 inches, though there is a wide variation on the market. The heavier the mat, the harder it is to transport. Products with thicker padding are often heavier than their thinner competitors, so when it comes to weight and comfortability there’s a trade-off. Usually, you need to either prioritize portability or comfortability. Additionally, extra-rugged mats tend to be made out of thicker materials, which also adds additional weight to the mat. At the lightest, products start at around 2 lbs. On the heavier side, there are mats from between 6-8 lbs. Again, which weight you choose is mostly determined by where you do your shooting. Do you need to lug your gear miles from the car? Or simply whip it out of the back of your truck and walk it a couple feet to the range? Hunters will frequently opt for lighter products since they need to be able to pick up and go. Unfortunately, these portable mats are often a bit less padded. When it comes to durability stitching is everything. Especially if you’ll be using your shooting mat out in the field, avoid single stitching at all costs. It might look fine in the store, but heavy fabric calls for thick, tactical stitching. Sadly one stitch simply won’t do it. 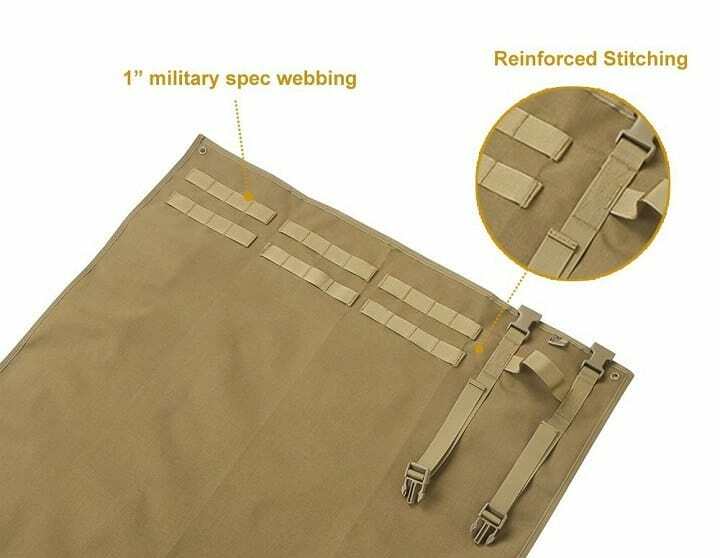 With wear and tear, weaker stitching will fray and rip, rendering your mat useless. Color probably shouldn’t be your number one concern when shopping around for a shooting mat. Mats range just about any color you can imagine, from purple to camo and everything in between. Which one you select will come down largely to a matter of taste. The only time that color becomes essential is if you’re living and shooting in especially hot, sunny climates. Dark colors can heat up to high temperatures under direct sunlight, and become uncomfortable to touch. Alternatively, lighter colors stay cool, but get dirty and worn much quicker. Especially if you’ve selected a mat with features like an arm cushion, front slip, or other characteristics that promote accuracy, your shooting mat can help you become a better marksman. Nothing can set your attention off like a thorn in your side or a puddle underneath you, but ultimate comfort allows you to hold a position longer and focus more clearly. Of course, in any shooting situation (whether hunting or competing), environmental factors are an ever-present barrier in hitting your target. You can’t change the weather, but you can minimize how it impacts your accuracy. Thankfully, shooting mats exist to help you overcome any barriers and sharpen your shot. The cleaning process for your shooting mat depends greatly on which type of material it’s constructed from. Mats standardly come with cleaning instructions outlined in the product handbook, but most methods are somewhat similar. Always use warm water that’s hot enough to work out grime, but gentle enough to not wear the mat. If a detergent is necessary, use a gentle one such as Woolite or similar. For especially stained or dirty areas, consider using a scrub brush. Remember to always allow both sides of your shooting mat to dry entirely before folding or rolling it for storage. This helps prevent the accumulation of mildew and mold. Though shooting mats have previously been thought of as gear only necessary for competitive marksmen, they’re truly useful for all firearms enthusiasts. When comfort and stability can mean the difference of landing a shot on the bullseye or missing the mark entirely, shooting mats become an essential addition to your gear collection. Photos from: Tylinek / depositphotos.com, zabelin / depositphotos.com.